January 21, 2019 / hannadare / Comments Off on Box Set Sale Time! Warm up your winter reading with gay romance! 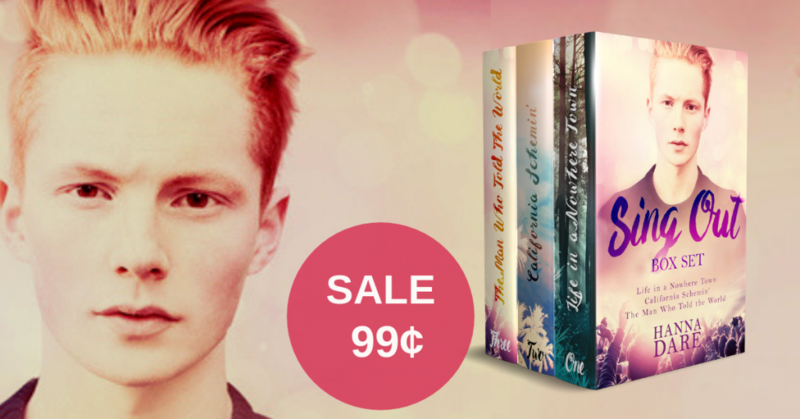 For this week only the first three books of the Sing Out series — collected into one box set — are on sale. Get it for only 99 cents! Follow Conor as he travels from his small town to Hollywood and back again, looking for fame, for love and to find his voice in this heartfelt and musical coming of age M/M romance.